Music plays an intrigal part of our church ministries at Peace. Our choirs enhance our worship experience and bring use closer to God through spirituals and uplifting songs of praise. We have opportunities for everyone and welcome you or your child(ren) to join us. Check out the calendar for dates and times of practices and when the choirs will be sharing their talents during worship. The Psalm 100 Kids choir shares their love of fun musical arrangements with the congregation on a regular basis. 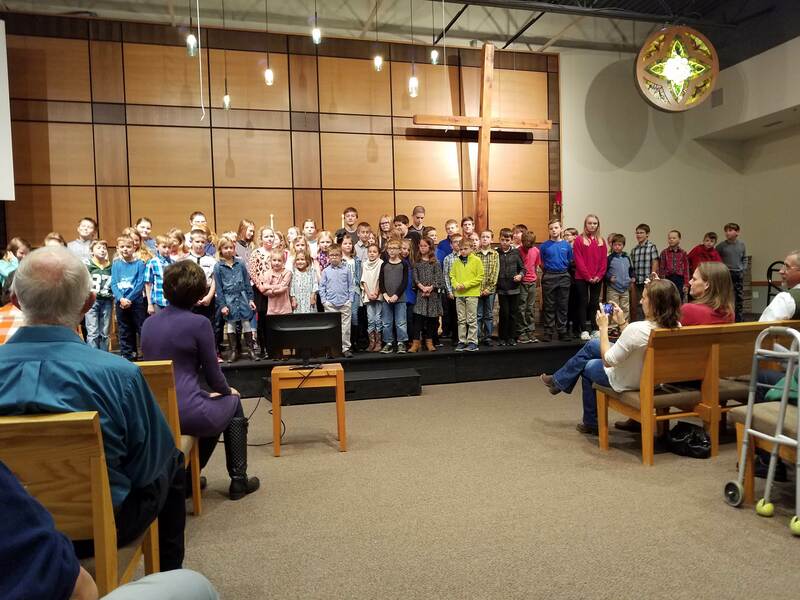 Practice is held during the Logos program on Wednesday evenings; however your child does not need to be a part of the program to participate in this choir. Julie Hanson graciously shares her talent with music and children to lead this group. The “Jesus Crew” choir (J Crew) is aptly named as this group loves to share their faith walk with the congregation and each other through lively songs and skits. They also meet during the Logos Program on Wednesday evenings; however, everyone in this age group is welcome to attend. Julie Hanson also shares her talents with this group. Celebrations Singers is a choir for the adults in the congregation who like to sing a few hymns, upbeat Christian medleys and enjoy a few laughs while doing so. Experience is not necessary and we welcome all who are willing to share their voices in song. This choir also meets on Wednesday evenings in the choir room (at the end of the hall, past the office).